Millennials are a hard crowd to please, but they can’t be avoided. They are a generation of renters, and if you’re in search for tenants you are most likely to run into members of this large generation. The Generation Y, as they are otherwise called, is more and more resisting the idea of settling down in their own home, and deciding for renting to save money and have more flexible career opportunities. If you want to fill open units and reduce vacancies you need to learn what do millennials want, and then exceed their expectations (because they want you to do that too). Here are some tips to attract them. Unlike their parents, millennials aren’t in search for large family homes that can accommodate five or more people. On the contrary, they need an apartment that suits them rent-wise (smaller the apartment, smaller the rent), but that is also space-efficient. This means that the space layout should be functional. That can be achieved with multipurpose furniture, storage that is built into walls, foldable tables, pull out beds, etc. Gen Yers are growing increasingly aware of the consequences of global warming and years of abuse of natural resources. They also appreciate the possibility to save a dollar here and there. So, including eco-friendly features in the apartment isn’t a bad idea. These updates are not even expensive. All you need are a smart thermostat, a low-flow shower and LED bulbs. Millennials are born in the age of technology and they consider it to be an indispensable part of their lives. Sure, they can make some tech updates once they move in the apartment, but if you do that before, that can be the thing that will make all the difference. Equip the place with keyless electronic access throughout, USB chargers built into wall outlets, high-speed internet and similar tech amenities. Stylistic furniture is always a nice addition, but if it is not functional it will not mean a lot to millennials. 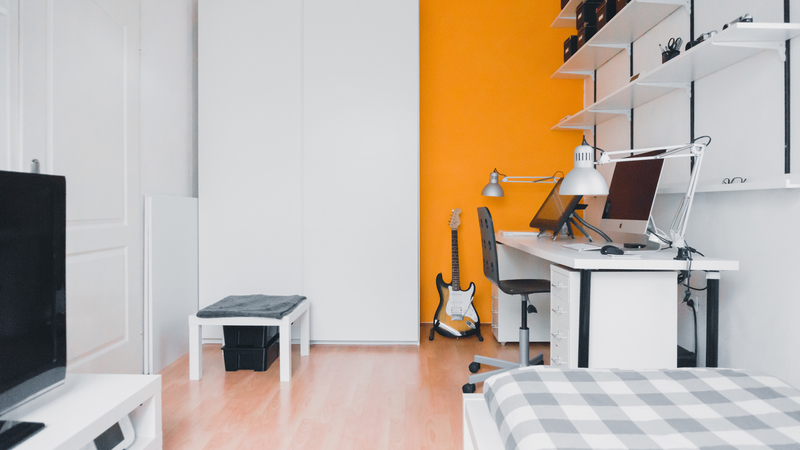 If the apartment features a desk and a chair, make sure the chair is ergonomic and the desk is of appropriate height (enough to hold the hands at a 90-degree angle). The bedroom is the most important when it comes to comfort and investing in a quality memory foam mattress will definitely be appreciated by the tenants. Millennials view fitness centres as places to exercise and socialize. Of course, if you are renting a small apartment you can’t include a fitness centre, but you can integrate fitness studio in the building instead of a couple of apartments (on the top floor for instance). If the building is owned by more than one landlord, you can always sit with your partners and see the benefits of this approach. An Australian worker spends about 40 hours a week in the office. Some continue the work at home, some don’t, but all of them appreciate work-life balance, which means that they are less prepared to spend hours on maintaining their rented apartments. Low-maintenance features such as granite or quartz countertops and clean looking finishes are welcomed. Did you know that millennials spend more money on their pets than any other generation? So don’t be surprised if they choose a more expensive property over yours if you don’t allow them to keep their pets indoors. Pet-friendly apartments and a welcoming pet policy by landlords are becoming a quite normal thing nowadays, so you’d better jump on the bandwagon while you can. Millennials are great tenants, not only because they are renting more often than buying, but also because they are renting for much longer periods of time than previous generations. If you manage to attract them to rent your property, you will get a secure influx of money for an extended period of time.